In diretta da Shama dal 5 al 11 gennaio 2016 European Affairs racconta la situazione in Libano dalla base italiana di Shama. That Great Britain has never been a supporter of a Europe without borders is nothing new. However, what we are recently witnessing is an increasing rift between British approach to asylum and immigration and the one adopted by other EU members, with criticism arising from both the latter and forces within the country. The UK, which doesn’t adhere to Schengen Agreements, has a particular position concerning the arrival of foreigners in the country. A strict policy, which doesn’t categorically exclude immigration but allows it in a controlled form. It encourages the entry of skilled workers and students, potential resources for the future. Conservatives’ key principle is simple: protecting country’s interests and security. Therefore, those who want to work hard and contribute to this goal are more than welcomed; no place for the others. If a similar approach doesn’t draw particular attention in normal times, perspectives change when a massive wave of migrants affects the whole European territory, altering the internal balance of several countries. In the last years, Europe has witnessed two major waves of migration. The first coming from Libya, the second from Syria; both the two still in progress (though with different characteristics and intensity), both related to the breakout of conflicts in those countries, thus forcing people to look for a better future on the other shore of the Mediterranean. These waves of refugees have provoked emergencies across first countries of arrival –above all Italy, Greece and Spain-, which had to welcome a number of people that goes beyond the capabilities of existing welcome facilities. Hence, the call for help to EU partners, in an attempt to share more equitably the burden of people arriving, thus guaranteeing them acceptable living conditions without compromising security and order of the country itself. Britain seems to turn a deaf ear. During the Libyan crisis, Mr Cameron made the Royal Navy available for rescue operations in the Mediterranean, but categorically excluded the creation of welcome facilities in British territories. However, if help was needed, it wasn’t at sea, but on land, after the rescue. Syrian crisis did not make British government more inclined to support the EU allies. Opt-out from the UK, indeed, on EU quota system, which consists in the relocation of 160,000 refugees currently in Italy, Greece and Hungary among other EU countries, in proportion to the capacities of the country. However, British PM promises to accommodate 20,000 refuges over the next five years: quite a paltry sum if compared to the commitment of other nations, e.g. Germany, which accepted to take up to 800,000 refugees by the end of 2015. Moreover, British offer concerns only refugees still in the Middle East and not the ones already arrived in Europe, solution that –as EU members have noticed- doesn’t really help to alleviate the emergency situation in first countries of arrival. Hot spot in EU fora, immigration issues are an element of tension between the political and social forces of the country. Major criticisms come from the Labour Party, which considers inadequate the support provided by Cameron. They refer to human rights, fundamental principles of the EU and to the history of their country, a sanctuary of hope and hospitality after the Second World War. What happened to this tradition? What do the rights enlisted in the Magna Charta and the Universal Declaration mean? In respect to these rights, another criticism arises from a different actor, British Charities. The major disagreement is related to families’ reunions, allowed by the system in place but with several restrictions. Only spouses and children under 18 are allowed to enter the country. Adult and other relatives are excluded from these lucky people. Why? Aren’t they experiencing the same pain? 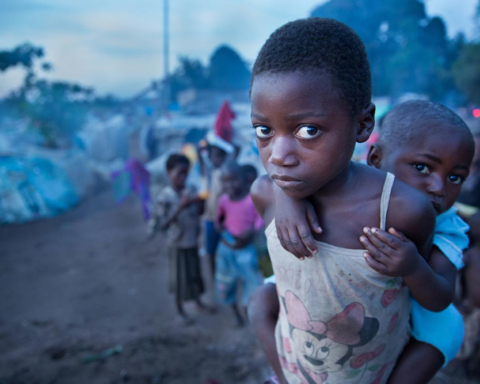 If you look at children, the situation is even worse. Unaccompanied children have no right to reunite to their families, even their parents. As the traumas of war, of the escape, of the arrival in a foreign country, where they don’t even know the language, would not be enough. In addition, the distance from their loved ones, the awareness of not being able to see them and the uncertainty about their future and lives. Where are human rights? The question is: can we do something more? Maybe yes. Hence, one wonders why a country like Britain, -built on certain values and principles and with an economic capability that allows to afford a stronger efforts- pulls back, turning his back to the EU allies, when his help is most needed, but also compromising that image of guarantor of rights that has been built over the centuries. A UK that seems to take more distance from Europe, in order to protect its borders. How far can this go before such an attitude becomes counterproductive? It is no longer just a matter of Brexit or not Brexit. It runs the risk of challenging Nation’s fundamental values, with the following implications this may have in terms of internal stability. April 24, 2013, the Rana Plaza, an eight-floors crumbling building that housed a bank, shops, apartments and some textile factories, collapsed on itself, killing 1,135 people and causing more than 2,500 injured. The building was located in an industrial suburb of Dhaka, the capital of Bangladesh and since then his name is reminiscent of the worst disaster ever happened in the history of the textile industry. The victims were almost solely workers. The day before the crash some cracks had opened on the walls and the bank, as well as shops, had been closed for safety reasons. The owners of textile plants did not accept, however, to stop production and forced the working men and women to go to work. The next morning, at the peak of the influx, the walls crumbled and the palace crumpled in on itself, burying thousands of workers. The last four floors of the building, as it was learned later, had been raised illegally over the years. The disaster directly called into question well known Americans and Europeans clothing brands, who subcontracted their production to local textile factories to save on labor costs, regardless of the poor condition imposed on the workers. Complaints, official engagements, international awareness campaigns, agreements between producers to improve workers conditions followed, but little was really done. In March 2014, only 7 out of the 29 brand involved were actually financing a solidarity fund in favor of the families of the victims. Two and a half years after the massacre, on December 21, Bangladesh justice has finally called 41 people for trial. The accused will have to answer for one of the worst industrial disasters in history and might be sentenced to life imprisonment. The worst position is to Sohel Rana, the owner of Rana Plaza, accused of ordering the workers of the factories to go back to work, even though the inspection of the previous day had certified that the building was not safe. Mr. Rana is the only defendant currently in custody. Sixteen are free on bail and for the other 24, now unreachable, orders of arrest have been issued on last Sunday. The textile sector is still critical to the weak economy of Bangladesh, with exports generating a turnover of over 25 billion dollars. 60 percent of the production takes the road of Europe, supplying the warehouses of our clothing stores. The massacre of the Rana Plaza did not lead, however, to a significant improvement of working conditions in the textile industry, where accidents continue to occur, even if on a smaller scale. The producers have not lived up to their initial promise and continue to take advantage of a labor market that offers very low wages and significant profit margins. The betrayal of the commitments was also certified by a recent study by the New York University, which showed that only 8 of the 3425 garment factories inspected in the country, have actually introduced improvements to raise standards of safety. Create a safer environment for workers, it says the report, is not impossible but it requires large investments in terms of time and money and the collaboration of all brands and governments involved. At the moment, a paradigm shift seems unlikely while it seems real the risk that brands could decide to move the textile production to countries where they would be subject to fewer controls. A potentially lethal paradox for the economy of Bangladesh. The UN Security Council endorsed UN agreement between Libyan factions on December 23. Written by UK, the unanimously resolution encouraged new Presidency Council to form national unity government within 30 days. Libyan stabilization is necessary to think about a military operation against Daesh, which will require a new resolution. This vote, which did not end arms embargo, urged all countries to help Libya to defeat Islamic State. UN envoy Martin Kobler is now working to allow new government to safely stay in Tripoli. So, military intervention is expected from 2016. 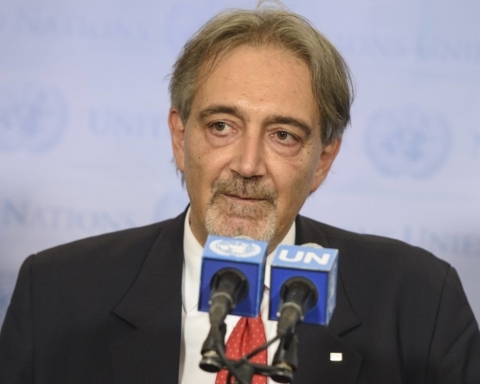 Italy, which wants to lead international mission, and UK will discuss to define targets and dispositions. Libya’s U.N. ambassador Ibrahim Dabbashi said Libya will hold off requesting Western countries, especially US and UK, to bombing Islamic State strongholds. While now, the priority was strengthening Libyan security capabilities with Western training and lifting the U.N. arms embargo. 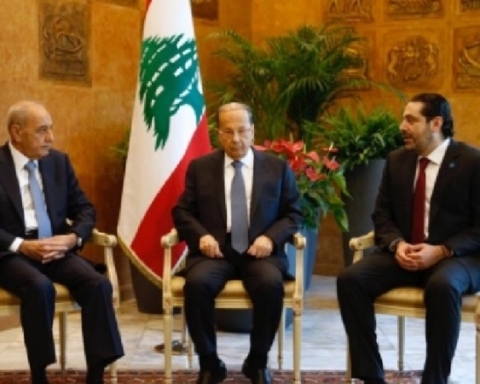 Lebanese authorities are deeply grateful toward the peacekeepers of the UNIFIL mission. The Italian contingent, currently made up of units of the Taurinense Alpine Brigade, completed and inaugurated an important project in favor of the Lebanese Internal Security Forces (ISF), near two of their facilities in the city of Tyre, in the south of the country. Specifically, they completed deliveries of four generators of medium and large capacity, installed in the main bases of the ISF to implement the provision of electricity of the centers of command and control of the Internal Security Forces, compensating for the lack of energy, which – in that area – is limited to few hours in daylight. 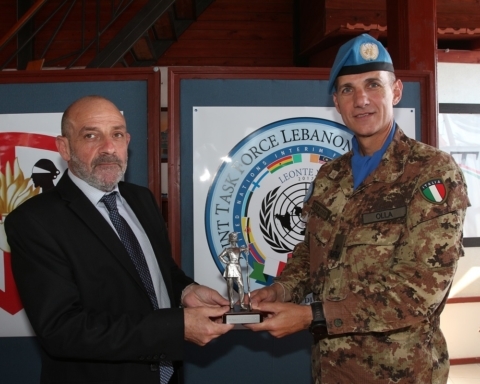 During the inauguration ceremony, held in base of the command of the 2nd mobile Regiment of ISF, local authorities have expressed appreciation for the cooperation and the proximity of the Italian contingent, dedicated to the support of the Lebanese armed forces as required by UN Resolution 1701. Official visit of Prime Minister Matteo Renzi to the Italian contingent in Lebanon, to verify the situation on the entire area of UNIFIL operation and to compliment the work of Italian troops in the south of the country. Accompanied by General Claudio Graziano, Chief of the Defence Staff, the Prime Minister has reached the military base Millevoi in Shama, the headquarters of the West Sector of UNIFIL, currently leaded by the Alpine Brigade “Taurinense”. Waiting for him, the Head of Mission and Force Commander of UNIFIL, Major General Luciano Portolano, and the Commander of national Contingent, Brigadier General Franco Federici. Informal and warm Christmas greetings made by Renzi, who wanted to meet men and women of our contingent informally, expressing the closeness of the Italian government to them and to their families. Great praise for the armed forces involved in peacekeeping missions and peacekeepers of Taurinense in Lebanon, operating within the framework of UN Resolution 170 in order to monitor the cessation of hostilities, support the Lebanese Armed Forces, and ensure appropriate support for the people local. «You are highly professional soldiers, you carry out your precious work in the service of the Italian institutions and peace, far away from your loved ones. You make us proud to be Italian», concluded the Prime Minister. 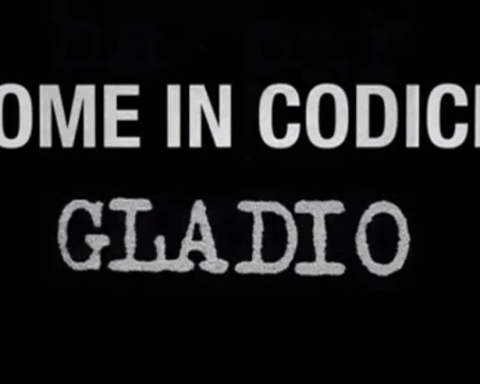 Shama (Libano del Sud) 19 Dicembre 2015 – Nella tarda mattinata di oggi il Sottosegretario di stato alla Difesa, onorevole Domenico Rossi, è giunto nella base “Millevoi” di Shama, sede del comando del Settore Ovest di UNIFIL per una visita al contingente italiano in Libano. Ad accoglierlo, l’Head of Mission e Force Commander della missione, Generale di Divisione, Luciano Portolano, unitamente al Comandante del contingente nazionale, Generale di Brigata Franco Federici. La visita è stata l’occasione per di fare un punto di situazione sull’intera area di operazione di UNIFIL e sul lavoro delle truppe italiane nel sud del Paese. Il Sottosegretario Rossi, a margine dell’incontro, ha avuto parole di grande elogio, per l’eccellente lavoro che l’Italia da tempo svolge in Libano, sottolineando la che la Comunità Internazionale ha fortemente voluto una leadership italiana alla guida di questa complessa e quanto mai difficile operazione di peace keeping. 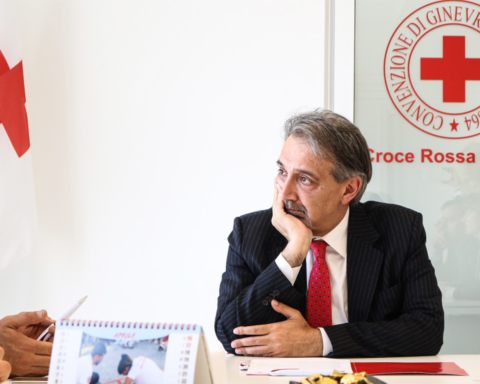 “La capacità delle Forze Armate italiane a lavorare nelle diverse missioni è, fuori dalla retorica, il nostro miglior passaporto internazionale, è anche grazie alla vostra professionalità determinazione e propensione al dialogo che l’Italia ha svolto e sta svolgendo un ruolo fondamentale per la stabilizzazione di questo Paese, confermando quell’approccio tutto italiano alle operazioni di pace che tutti ci riconoscono.” – con queste parole, il Sottosegretario, ha salutato poi i militari italiani impegnati nella terra dei cedri. Il Contingente italiano, attualmente su base Brigata alpina “​Taurinense”, opera nel pieno rispetto dei compiti assegnati dalla risoluzione 1701 delle Nazioni Unite al fine di monitorare la cessazione delle ostilità, supportare le Forze Armate Libanesi e garantire l’opportuno sostegno alla popolazione locale; inoltre l’Italia è presente nella terra dei cedri con la Missione Militare Bilaterale Italiana in Libano (MIBIL), responsabile del coordinamento e sviluppo di numerose attività addestrative, preventivamente concordate con le Autorità libanesi, a favore delle Lebanese Armed Forces (LAF) nel più ampio contesto delle iniziative dell’”International Support Group for Lebanon” (ISG). As announced following the International Conference in Rome, the Libyan factions, all of Tripoli and Tobruk, signed deal for unitt government in Skhirat (Morocco).The Presidential Council, composed of president Sarraj Fayez, three vicepresidents on behalf of Tripolitania, Cyrenaica and Fezzan and other five representatives, have to form new government within 40 days. Moreover, the UN Security Council will vote terms of military operation in the next days, to make safe Tripoli and train local forces. This international coalition will be led by Italy, while Great Britain will send 1000 troops. December 17 the 90 representatives of the Assembly of Tobruk and 27 of the GNC Tripoli signed the agreement. The new Presidential Council, in addition to choose new government, will have to convince the presidents of two parliaments to accept the deal. Among the problems which should be solved, there is also the military intervention because several factions prefer the training of Libyan army, rather than a foreign operation. The most important perspective is about the presence of a unique executive to allow, after Syria, to open another front to fight the Islamic State in Libya, where Sirte became the Caliphate stronghold. Some US troops are already present, as reported by many international media. As well as France and Great Britain, which reached Libya through southern borders. 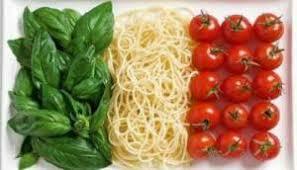 And Italy? As leaked out by Italian Defence, the non-intervention in Syria, the contribution to the NATO mission in Iraq (450 soldiers will defende the strategic Mosul Dam), clearly show Italian line: optimize the best efforts, humanly and logistically, to the nearest, and therefore more crucial, Libya.